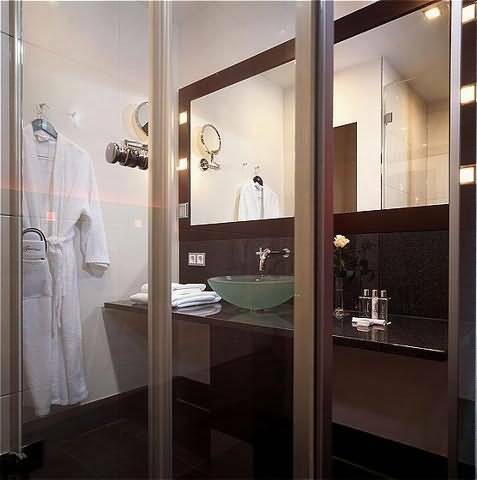 Room Information : The hotel’s 141 rooms and 5 suites in the categories Comfort and Superior provide guests with a high level of comfort. The extensive use of high quality materials and fabrics in green and cream and beautiful hardwoods underscore the clear contemporary interior design and bestow the rooms with sophisticated elegance. The true highlights of each room are the lighting which can be individually controlled from a panel in the headboard of the bed. Travel Information : Coming from the west: - Coming along the west motorway (A1), drive straight ahead in the direction of Zentrum [city centre] (B1). - Continue to drive along Schloßstraße (B1) in the direction of Zentrum until you reach the Margaretengürtel (B221). - Turn left here and follow the Gürtel [ring road] (B221) in the direction of Westbahnhof [west train station]. - About 500 metres after Westbahnhof you will arrive at Fleming’s Hotel on the Neubaugürtel on the right-hand side of the road. Coming from the south: - Coming along the south motorway (A2) take the Altmannsdorf and/or Wiental exit. (Line up in the right-hand lane of the A2 in good time for the exit). - Now follow Altmannsdorferstraße which continues into Grünbergstraße (B224) in the direction of Wiental. - At Wiental, turn to the right into Schloßstraße (B1) in the direction of Zentrum [city centre] and follow the B1 until you reach Margaretengürtel (B221). Follow above instructions from the B221. Coming from the east: - Coming along the east motorway (A4) drive as far as the Prater intersection on the A23 in the direction of Graz. - Leave the A23 at the Landstraße, Gürtel exit and continue along the ring road (B221). Landstraßer Gürtel, Wiedner Gürtel, Margaretengürtel, Mariahilfergürtel. Follow instructions from the above instructions from the B221. 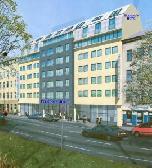 By train: Westbahnhof [West train station] Fleming's Hotel is situated on the Neubaugürtel, only a few metres away from the train station. Südbahnhof [South train station] Take Tram Line 18 in the direction of Urban Loritz Platz/Stadthalle. 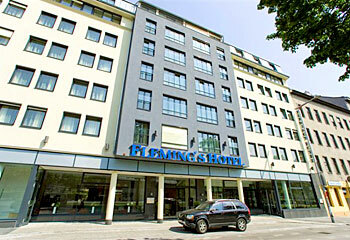 The Fleming’s Hotel is only a few metres away from the Westbahnhof station. By air: With the CAT City Airport Train, you will arrive at Bahnhof Wien Mitte/Landstraße [Vienna Central Train Station/Landstraße] in 16 minutes. Take the U3 underground train line in the direction of Ottakring. 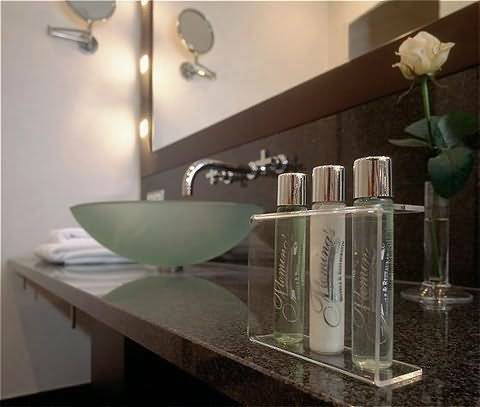 Fleming’s Hotel is only a few metres away from the Westbahnhof station. The Airport Shuttle Bus leaves every 30 minutes from the airport to Westbahnhof (35-minute ride). 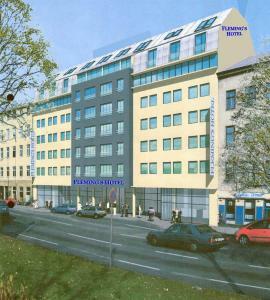 Fleming’s Hotel is only a few metres away from the Westbahnhof station. 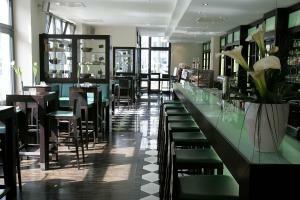 Food & Beverages : Fleming’s Brasserie & Wine Bar combines a French Brassiere and a Deli. The wine list offers an impressive variety of superb national and International wines. The restaurant is open for breakfast from 7:00 to 10:00, lunch from 11:30 to 14:30 and dinner from 18:30 to 23:00. The Wine Bar is open from 10:00 to 1:00. Room service is available from 8:00 to 23:00. The restaurant and the bar is on the ground floor and is accessible for disabled guests. Region Information : The hotel is situated close to main train station Wien Westbahnhof and also to the city centre and to the Mariahilfer Strasse (the biggest shopping street of Vienna). At the stop Wien Westbahnhof you can take the tram number 6 and 18 and the underground U3 and U6. Hotel Information : Due to the hotel’s central location the hotel is close to a number of historical and new attractions across Vienna. The trade fair grounds and conference centres are also situated in the immediate vicinity. 141 hotel rooms and 5 suites, furnished in a modern design with fine wood and high quality materials, create an ambiance of well-being. 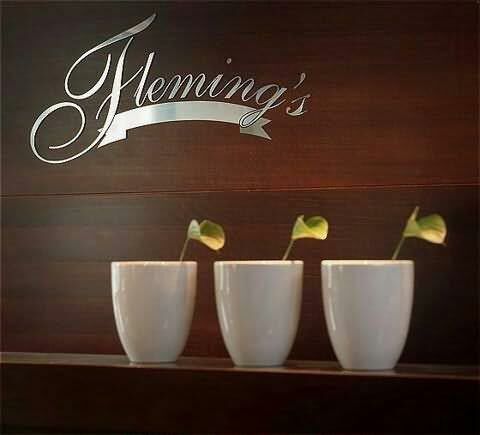 The Fleming’s Brasserie serves homemade culinary surprises in a relaxed atmosphere. A large range of national and international wine ensures the perfect accompaniment. Eleven conference rooms across 880 square metres, with a capacity for up to 300 people and equipped with state-of-the-art technology, wireless LAN and air conditioning. A view of the courtyard with its greenery is inviting for a refreshing coffee break or a cocktail at sunset. Short description : Fleming’s Hotel Wien Westbahnhof with its perfect location directly next to Vienna's most famous shopping street, opens it's doors in the heart of the city in April. 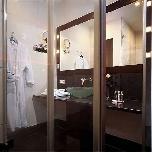 The hotel is well equipped with a Restaurant that serves both national and International homemade dishes and a Wine Bar. 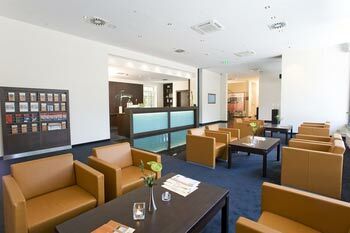 The hotel also benefits from a number of conference rooms. Cancelation Policy : Cancellation Policy: If cancelled up to 18:00 on the date of arrival, no fee will be charged. If cancelled later or in case of no-show, the total price of the reservation will be charged. Children and Extra Bed Policy: All children are welcome. All children under 12 years stay free of charge when using existing bedding. There is no capacity for extra beds/cots in the room. Deposit Policy: No deposit will be charged. VAT and city/tourist taxes: VAT is included. Service charge is included. City/tourist tax is included. Internet: Wireless internet is available in the entire hotel and is free of charge. Meal Plan: Buffet breakfast is included in the room rate. Parking: No parking available. Pets: Pets are allowed. Charges may be applicable.